Home » Tech News » Can New Technology Make Touchscreens More User Friendly? Touchscreens seem to be taking over the world of personal electronics. While many people just love touchscreen technology, many simply prefer the feel and functionality of physical buttons. It seems that there may soon be a new technology on the market that provides users with the best of both worlds. 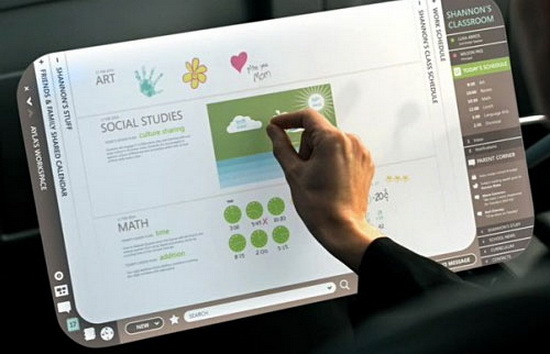 Tactus Technology, of California, has released a prototype touchscreen that has buttons that can rise from the flat touchscreen, and then disappear completely when the user is finished with them. This will offer all of the functionality of a normal touchscreen, with the tactile comfort of traditional buttons for those who prefer a traditional method. This sounds too good to be true, but the new prototype is receiving rave reviews from everyone who has seen it thus far. How does it work? It’s a stroke of genius. In the prototype, there are a number of prearranged channels under the surface of the screen. When a user turns on the buttons, a clear oily substance fills the channels and causes solid buttons to appear out of the display, like magic. Once the user is finished and turns the buttons off, the channels are pumped empty and the buttons disappear, leaving only a smooth touch screen. Although there have been other attempts at such technology, this appears to be the best solution so far, and it seems like it will be the first model to actually be available to consumers, maybe as soon as the middle of 2013. At this time, the microscopic channels must be placed in a prearranged pattern, for instance in the QWERTY keyboard formation. This patter is fixed and the buttons can only appear and disappear. The company promises that this will change over time, however. They have plans to improve on the technology so that the channels will eventually have the capability to morph into a number of configurations and patterns that can easily be used to work specifically with particular software applications. Perhaps what makes this prototype system even more impressive is that it doesn’t use much battery power to use. The CEO of Tactus Technology states that the system should use less than 2% of the battery in an entire day. While this figure will vary somewhat depending upon the display size and batter capacity, this is quite an impressive figure. For now, this technology is designed mainly for tablets and smart phones. However, the company states that the technology also has its place in other areas of life, such as in production car control panels. Gery G. is a writer for How2BecomeAPoliceOfficer.org. If you are interested in learning more about the technology that is used by police officers.